This comprehensive DVD featuring Coach Jeff Scurran, provides detailed step-by-step instruction of the most vital offensive and defensive fundamentals. Each skill is clearly broken down, demonstrated, and applied in a variety of drills. 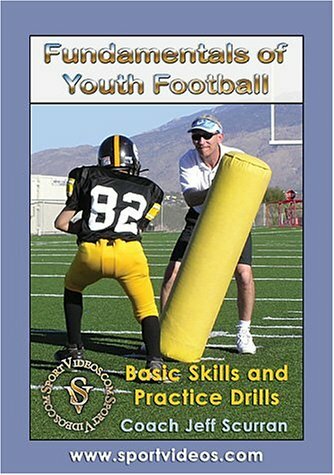 This program is an invaluable resource for any coach, parent, or child participating in youth football. About the Coach: Jeff Scurran has coached high school and college football for over 30 years, winning well over 200 games. His Sabino High School team in Tucson, AZ recorded a state coaching record for Scurran by winning 116 games in 10 seasons and going to the state championship game five times. He is currently the head coach at Santa Rita High School in Tucson, AZ.